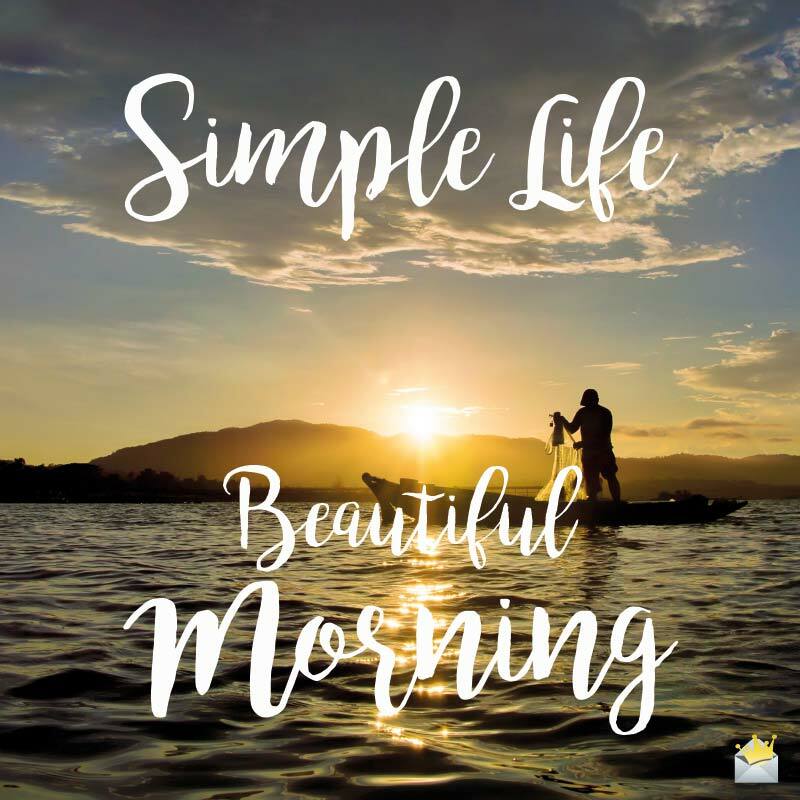 Want an inspirational good morning message to send to someone you know? We have a huge amalgamation of that right here! The following messages will provide you with just what you need to start someone’s day right. You can send the samples the way they are or use them as a guide to come up with your own sweet lines. Either way, you are going to inspire the recipient to a better life this fine morning. If you start your day with God, there’s nothing you can’t accomplish. Good morning. I believe that anything that can be dreamed of can be accomplished if you work relentlessly towards it. Have a good morning. When everything in your life looks like they are going against you, remember to invite God into your life and everything shall be perfect. Good morning. 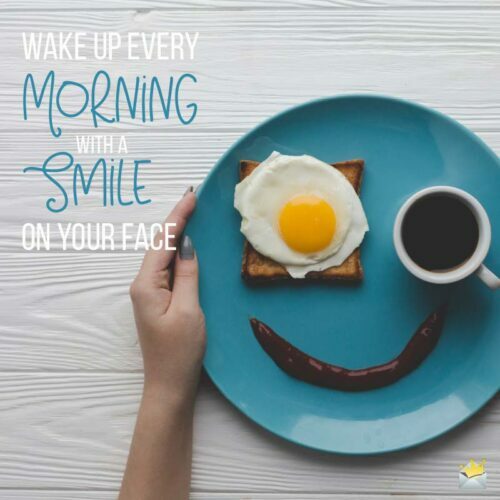 Starting your day with a big smile makes your day brighter. Good morning. Good morning to a wonderful friend who makes me believe in myself, no matter what I’m up against in life. Today, be thankful of the remarkable gift of life you’ve been blessed with and amazing things shall come your way. Good morning. Happiness will never be gifted to you on a silver platter. Your actions or inactions are what bring it to you. Good morning. More often than not, the obstacles in our paths are planted by God to act as stepping stones to greatness. Wishing you a lovely morning. Men who achieve remarkable things in life often chase after their goals with all their might. You too can be one of them. Good morning. The key that opens the door to your happiness is on your person. Don’t look anywhere else in this world for that key. Good morning. Walk with faith and you shall always be a conqueror. Good morning. If you want more blessings in life, just do two things: work harder and appreciate the things you have. Have a blessed morning. God, in His infinite mercy, has blessed us with all we need to be great. Let’s try not to disappoint Him. Good morning, darling. Babe, may the rising of the beautiful sun this morning remind you of the great power you wield inside you to achieve your dreams. Good morning! It doesn’t matter how slowly you journey towards your dreams, you’ll achieve them so long as you don’t give up. Have yourself a remarkably beautiful day. Your time on earth is very limited, so spend it doing what brings happiness into your soul. Good morning. We might not be millionaires, but we have each other. In my eyes, that’s more precious than all the wealth this world can ever gift us. Good morning, my love. If you don’t perspire, there isn’t much you can achieve in life. Good morning. What lies within you is remarkably great. Always have faith in yourself. For me, never will I lose my faith in you. Good morning. Wake up every morning with a smile on your face. It is never ever too late for you to become the great person God wants you to be. I love you so much. Good morning. You failed yesterday. So what? Someone who tries and fails is a thousand times better than someone who never failed because they never tried. Keep on shinning, my dear. Good morning. No one gives me so much joy, inspiration and love like you do. You are phenomenal and I appreciate you in every way. Good morning. Even obstacles as mighty as Mt. Everest will crumble before you if you believe in yourself. Good morning. 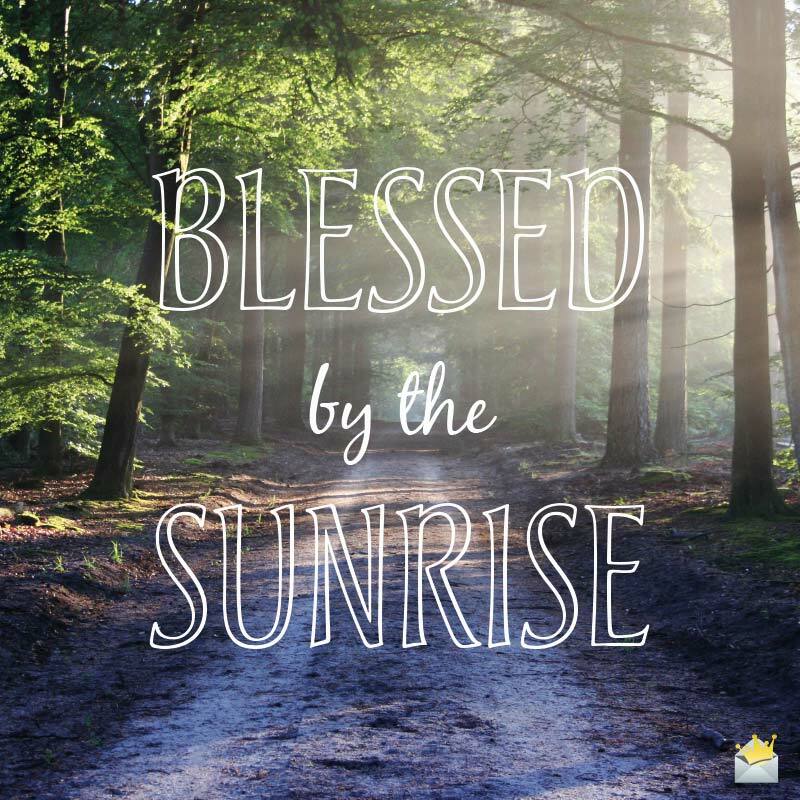 If you still have the precious gift of life this morning, you are blessed. Always remember to count your blessings. Good morning. The best way to gift yourself a truly bright future is to start working on it today. Good morning. Limitations in life often come from our failure to believe in ourselves. If we cultivate the habit of believing totally in ourselves, our possibilities become endless. Good morning. The Creator knows best, and that is why He gave us challenges, for without challenges, life would be very boring. Good morning. The only way to live a life full of contentment and happiness is to stop living your fears and start living your dreams. Have a lovely morning. Despite the ugliness of the world, it possesses an unlimited amount of beauty. From this day forward, spend more time looking for the beautiful things in the world and you shall always walk with a smile. Good morning. The key to success and happiness is to never worry about your failures. Just learn from them and keep pursuing your dreams. Good morning. There’s only one way to avoid failing: do nothing in life and become nothing in life. Good morning. Run this day or else it would run you. It’s as simple as that! Good morning. Life has been designed in such a way that it favors those who sweat and toil. Good morning. The harder the wars you battle in life, the sweeter your victories. Never ever give up the fight. You’re strong and can win this battle. Good morning. When you feel the urge to give up, remember that you are an inspiration to a great many, including myself. Good morning. I can feel it in my bones that your dark days will soon disappear. Your days of sunshine are just around the corner. Just hold on for a little while. Good morning. No matter how bad and ugly your situation is, never lose your faith in God. He will bring you out of this and raise you to heights you never dreamed were possible. Good morning. This hard times you are facing are just stepping stones to a happier and brighter future. Stay the course, my dear. Good morning. This is just to let you know that you are not in this darkness alone. I will walk with you until the sun rises. Good morning. No one reached greatness without journeying across tough terrains. You’ll get there. I promise you. Good morning. You are tougher than the tough times you are facing. Good morning. Even if your troubles are as countless as the sands of the largest desert in the universe, they can’t take away the fact that you have the greatest blessing in the world – life. Have a glorious morning. Come what may, never let the tribulations you face get you down. Good morning. The fact that you are facing difficult times is a sign you are about to be elevated to a higher height, for you can’t enjoy success without encountering adversity. Good morning. God has the final say. Not your enemies. Good morning.